Solar energy has great importance since it is clean, reliable and renewable. Solar-powered cars enable the car to start with the solar energy by transforming the energy, which they receive from the sun, into the electrical energy by means of photovoltaic panels and giving that energy to the engine. In this study, a solar-powered vehicle was designed and its prototype was built. Apart from the design of the solar-powered vehicle, the materials used, its manufacture and driving performance were researched by doing tests. Güleç, K., (1974). Kayaçların Fiziksel ve Mekanik Özelliklerinin Su Muhtevası Ile Değişimi, Madencilik Dergisi, Cilt:XIII, Sayı:3, Maden Müh. Odası Yayını, Ankara. Hoyer, K.G., (200). The History of Alternative Fuels in Transportation: The Case of Electric and Hybrid Cars. Science Direct, Utilities Policy 16, pp:63-71. Thomas, C.E., (2009). Fuel Cell and Battery Electric Vehicles Compared. International Journal of Hydrogen Energy 34, pp:6005-6020. Knipping, E. and Duvall, M., (2007). Environmental Assessment of Plug-In Hybrid Electric Vehicles Volume 2: United States Air Quality Analysis Based on AEO-2006 Assumptions for 2030. Electric Power Research Institute and Natural Resources Defense Council'. Sasaki, K., Yokota, M., Nagayoshi, H., and Kamisako, K., (1997). Evaulation of Electric Motor and Gasoline Engine Hybrid Car Using Solar Cells. Solar Energy Materials and Solar Cells 47, pp:259-263. Kayegama, Y., (2009). Toyota works in secret on solar vehicle. Associated Press. http://www.wheels.ca/reviews/article/492639. Shacklock, A., Duke, M., and Burgess, M., (1999). The 1998 World Solar Rallye: Akita, Japan. Journal of Power Sources, 199-206. Gupta, N., Alapatt, G.F., Podila R., Singh, R., and Poole K.F., (2009). Prospects of Nanostructure-Based Solar Cells for Manufacturing Future Generations of Photovoltaic Modules. International Journal of Photoenergy. Yang, Y.P. and Pin Lo, C., (2008). Current Distribution Control of Dual Directly Driven Wheel Motors for Elevtric Vehicles. 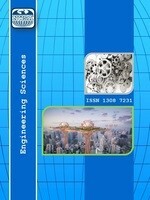 Control Engineering Practice 16, pp:1285-1292. Najib, A.K., (2007). Ranges of Applicability of a Solar-Battery Car with Single and Double Solar-Trailers, Solar Energy, 144, 619-628. ISNAD YILMAZ, Adem , AYDIN, Selman , YAKUT, Rifat , DALĞIÇ, Berat Fırat . "THE EFFECTS OF SOLAR CAR DESIGN ON PERFORMANCE". Engineering Sciences 14 / 1 (January 2019): 46-54.